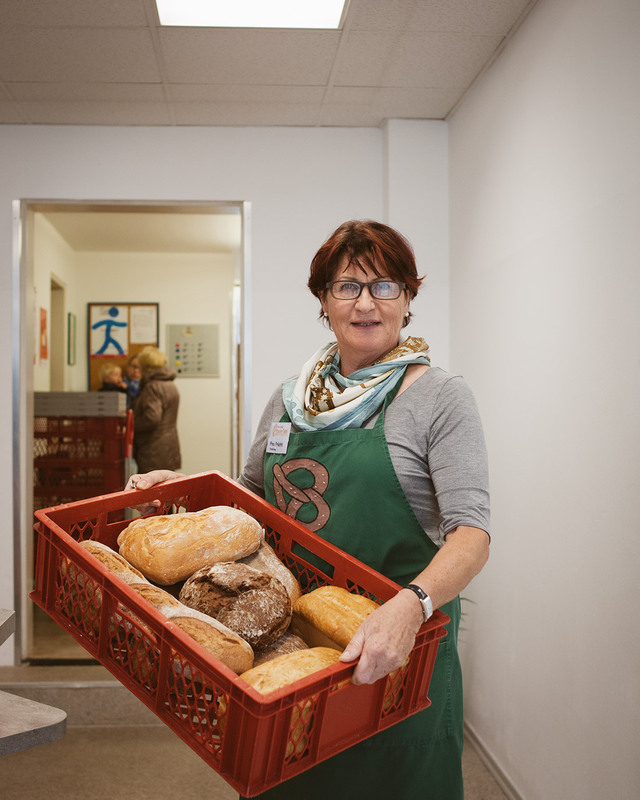 Fürstenfeldbruck, Germany — Lilifer Kus works five days a week at a butcher’s shop, but every Thursday morning she can be found at her local food bank, collecting the supplies she needs to feed her family. And her colleagues don’t know she comes here. “They would bad-mouth me and I don’t want that,” she says. 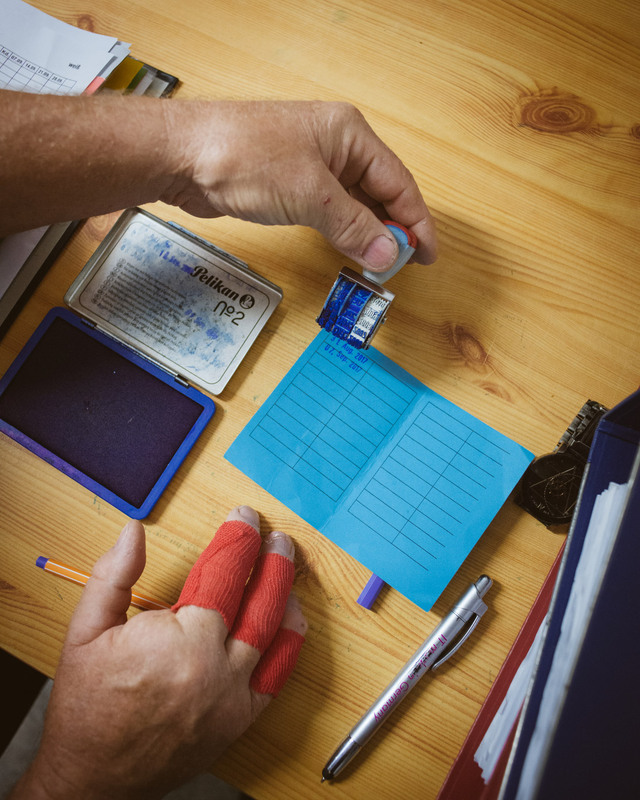 Kus, 46, has been coming to the food bank (known in Germany as a “Tafel”) in Fürstenfeldbruck, a town half an hour from the southern German city of Munich, since 2011. That was when she got divorced and became a single mother to her four children. She’s one of around 150 people who visit this food bank every week – mothers and fathers, pensioners and refugees. Like the others, she doesn’t have enough money to feed herself and her family. This is one of more than 930 food banks affiliated with the centralized federation of German food banks. 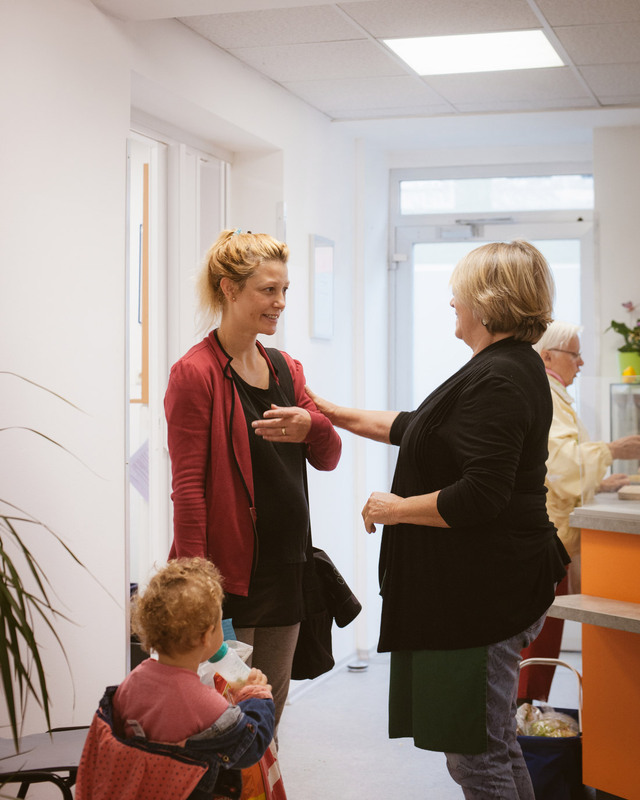 Around 1.5 million people are supported by affiliated Tafeln across the country, with countless more served by independent food banks. And according to a survey carried out by the federation in 2016, demand is growing. 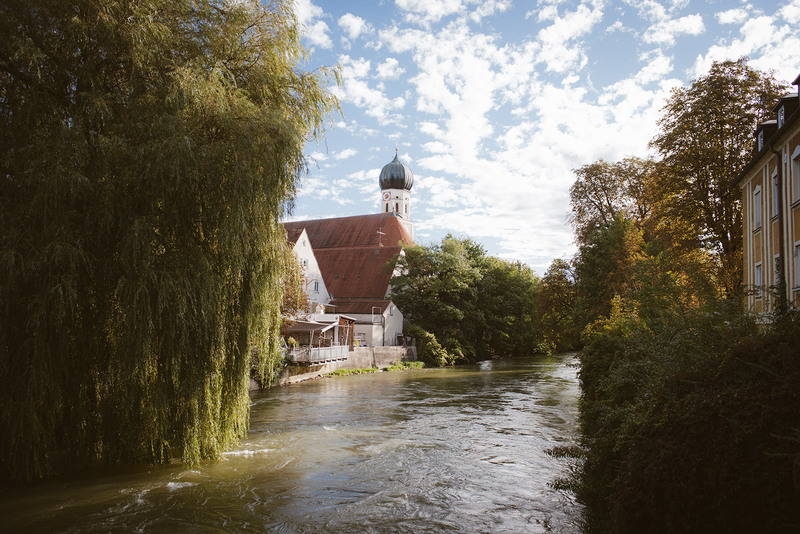 Munich and its surrounding area are home to six of Germany’s 10 wealthiest districts. But this region is also home to 18 food banks. Fürstenfeldbruck is one of them. The town’s pristine buildings, neatly swept sidewalks and romantic riverside restaurants disguise a growing level of poverty. 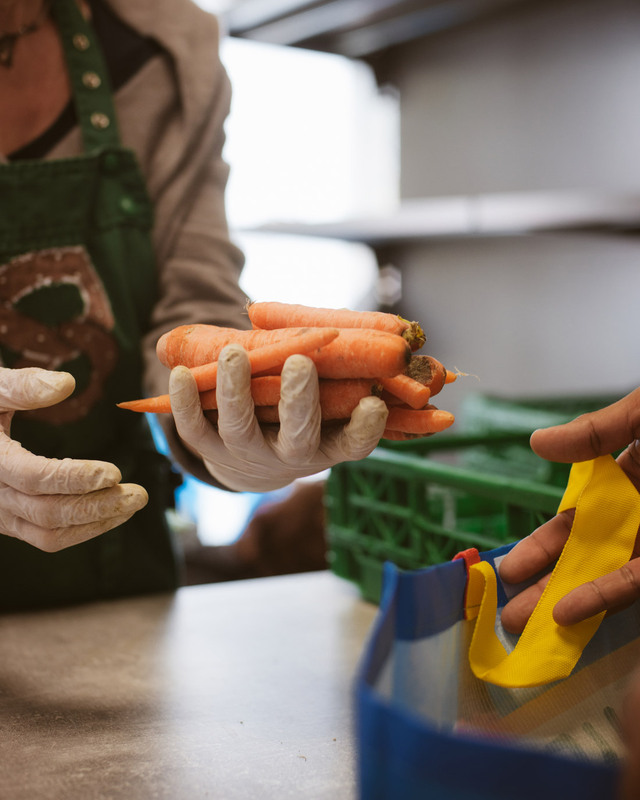 Behind a regular storefront just around the corner from the main street, volunteers are busy serving “customers,” lining shelves with canned food and stacking pallets of bread and vegetables collected from local bakeries and farmers’ markets. A local farmers’ market donates leftover fruit and vegetables to the food bank in Fürstenfeldbruck. After proving their eligibility, customers are given an identity card that they show as they enter the food bank. The card is stamped with the day’s date. In the courtyard out back, there’s a steady line of customers. Kus was one of the first to collect her food today. She earns about 825 euros ($990) per month and gets an extra 500 euros ($600) in welfare because of her low wages. 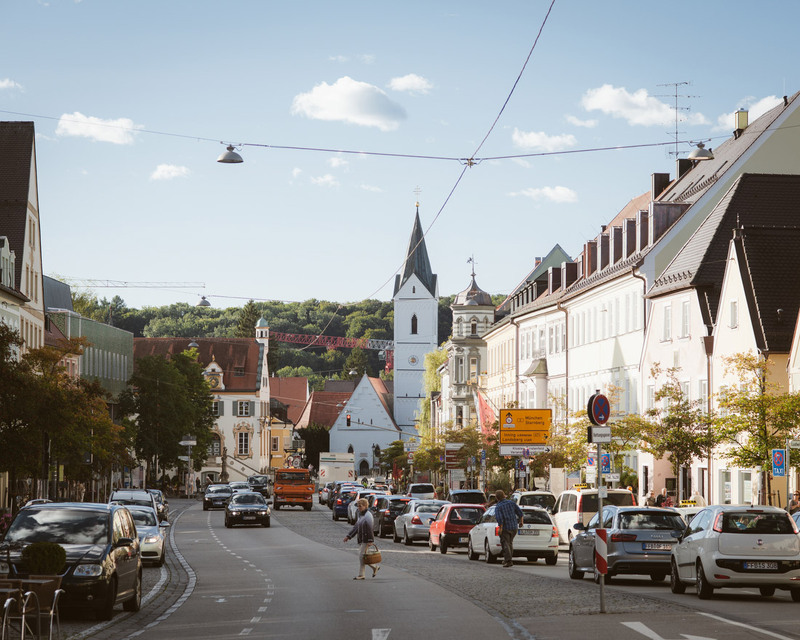 But rents are high — and rising — in Fürstenfeldbruck. Kus’s apartment alone costs her more than 800 euros ($960) per month. Add in the cost of household bills and two children still living at home, and money is tight. 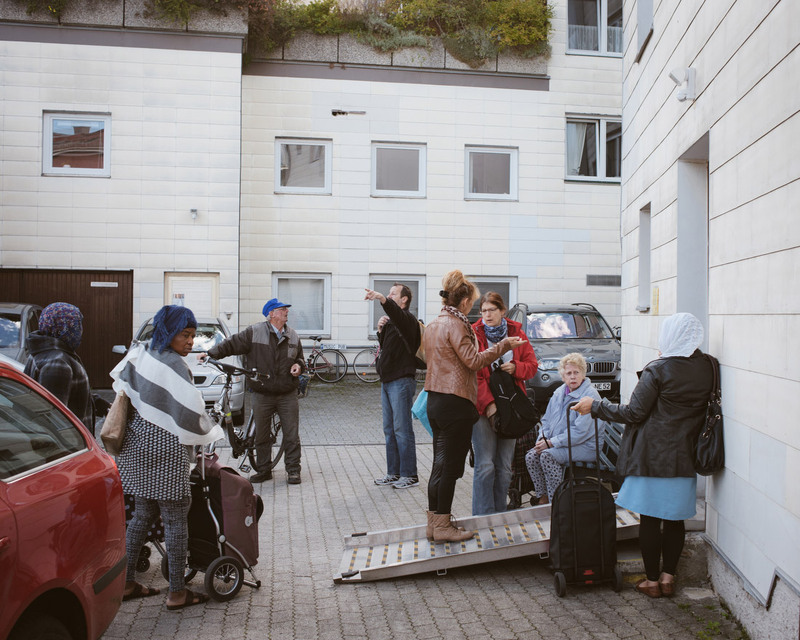 Kus arrived in Germany from Turkey as a small child with her parents. Just two weeks ago, she got German citizenship. She’s planning to vote in the federal elections on Sunday — if she gets her German passport in time. The percentage of Germans at risk of poverty rose from about 12% in 1995 to roughly 16% in 2014, according to a government report published earlier this year. Income inequality has also risen, the report found. Although official unemployment in the country is very low, more and more Germans are taking on part-time, low-paid and insecure jobs. “The German economy has been growing steadily for decades,” explains Manuela Barisic, project manager at the Bertelsmann Foundation, which recently published a report on the distribution of wealth in Germany. Older people have been hardest hit. 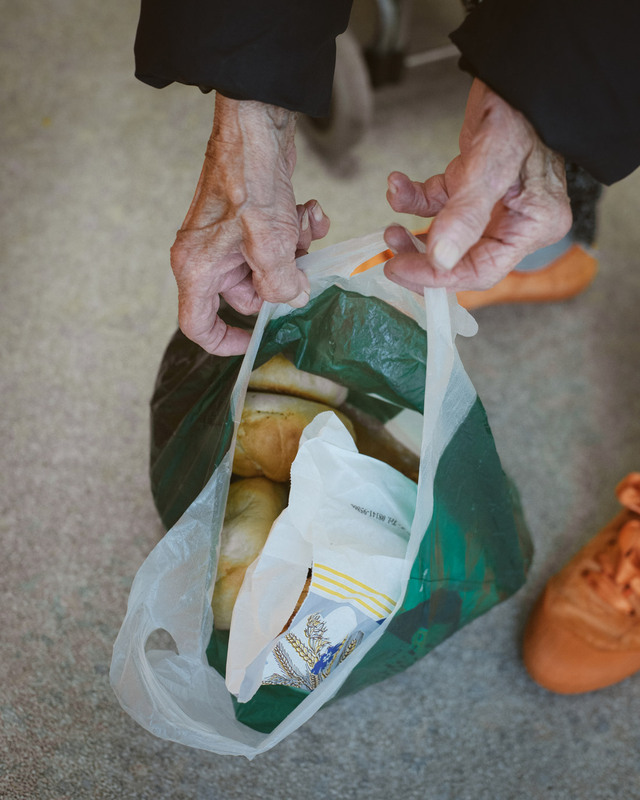 The number of retirees living below the poverty line has increased from about 10% to 15% since 2005, according to a study published this year. 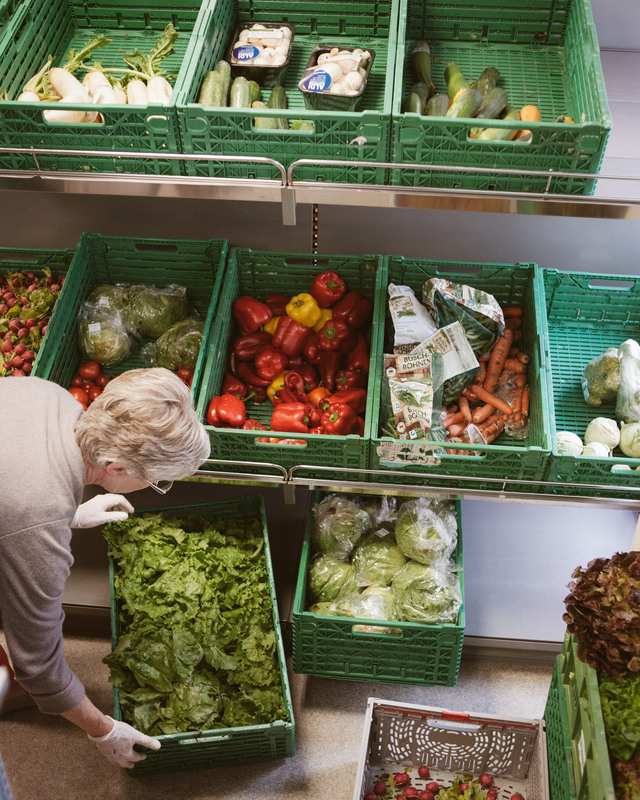 Erna Dürr, 86, has been using the food bank for around nine months. “She was really at rock bottom when we found her,” says volunteer Heinz Nebl. Sitting on a bench in the waiting area, a woman in her sixties is clearly distressed. She’s well-dressed and well-groomed, but the heavy bags under her eyes hint at her troubles. Her husband died a few months ago. “That was the tipping point in my life,” she explains. She said she felt ashamed that she’s dependent on a food bank, and declined to give her name to CNN for that reason. 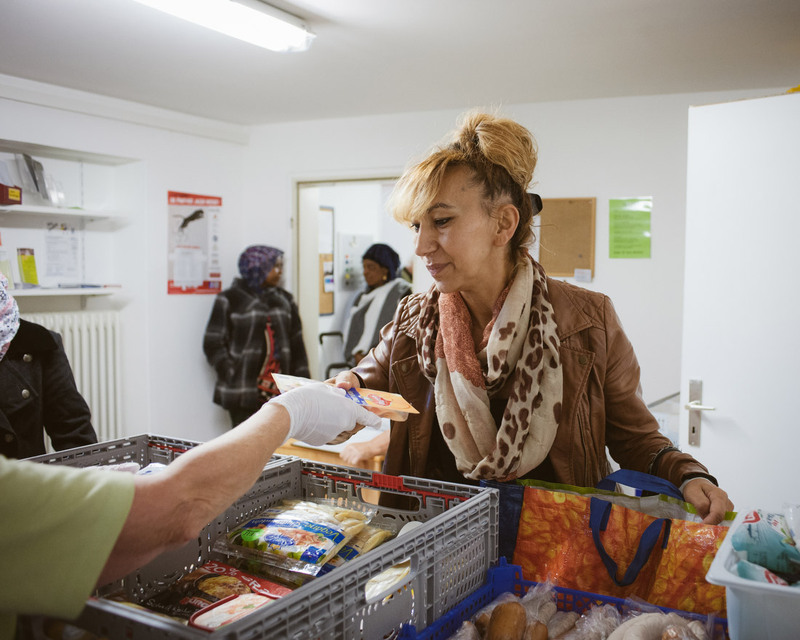 Sociologist Stefan Selke is worried that food banks have become normalized in Germany. “We should be asking, what kind of society is it that allows food banks to exist?” he says. Despite being a top concern for voters — 17% of Germans are worried about poverty, up from 10% a year ago — most politicians have been silent on the subject during the election campaign. Asked about social inequality in a live YouTube interview in August, Chancellor Angela Merkel — whose Christian Democratic Union (CDU) has been the largest party in parliament since 2005 and is expected to win the most votes this weekend — spoke instead about employment figures and her government's success in raising the minimum wage. Merkel advised the woman who posed the question — a cleaning lady from Bochum in western Germany — to pay into a private pension program instead, something the woman said simply wasn’t possible on her low wages. Aferdita Plakolli, 32, visits the food bank with her 2-year-old daughter, Adima. Her husband works as a builder but doesn’t earn enough to feed the family. According to the volunteers, the Tafel in Fürstenfeldbruck provides food for around 400 people every week, including 80 to 90 children. That same evening, Merkel’s main rival — Martin Schulz of the Social Democratic Party (SPD) — was addressing a large crowd gathered in front of Munich’s city hall. He pledged to improve the pension system, offer routes from part-time into full-time work, and crack down on precarious forms of employment. A 67-year-old man who has been using the food bank in Fürstenfeldbruck for six years sees little hope for his future if Merkel remains Chancellor. “The politicians do far too little. They’re too busy cosying up to the big companies. Poverty has no lobby group,” he says. He asked CNN not to publish his name because he did not want to be identified publicly as someone who uses a food bank. There is little sign of poverty on the surface of this wealthy Bavarian town just outside Munich. 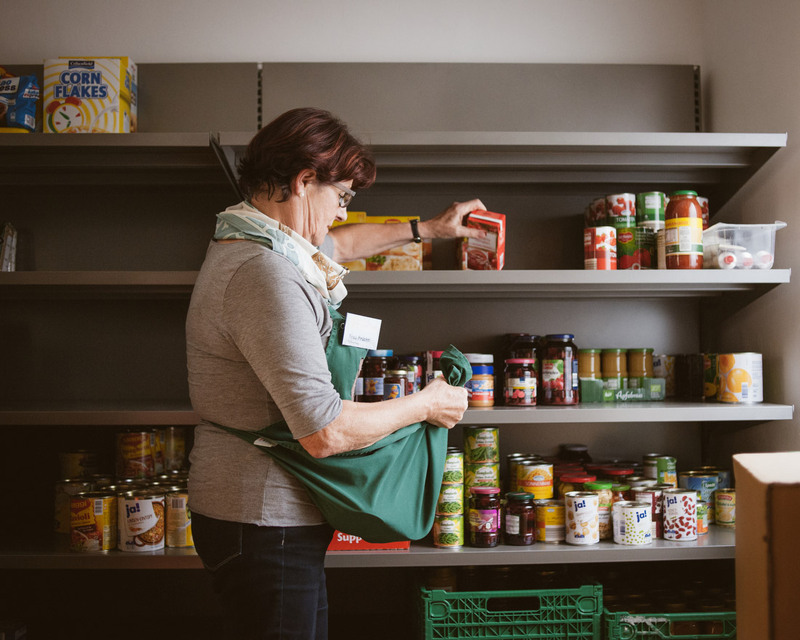 The town’s mayor, Erich Raff, admits that poverty is growing in Fürstenfeldbruck and is certain that the food bank will be needed for a long time to come. The food bank is run with military precision. Three women head up the operation, organizing the collection, sorting and distribution of food. “It’s like a small firm that we run here,” says Lidija Bartels, 58, who started volunteering at the food bank in 2005. The customers must show proof of their eligibility — usually a letter from the job center or social services; they are checked off on a list at the door as they come in. Christa Rath, 73, has been volunteering at the food bank since it opened in 2000. 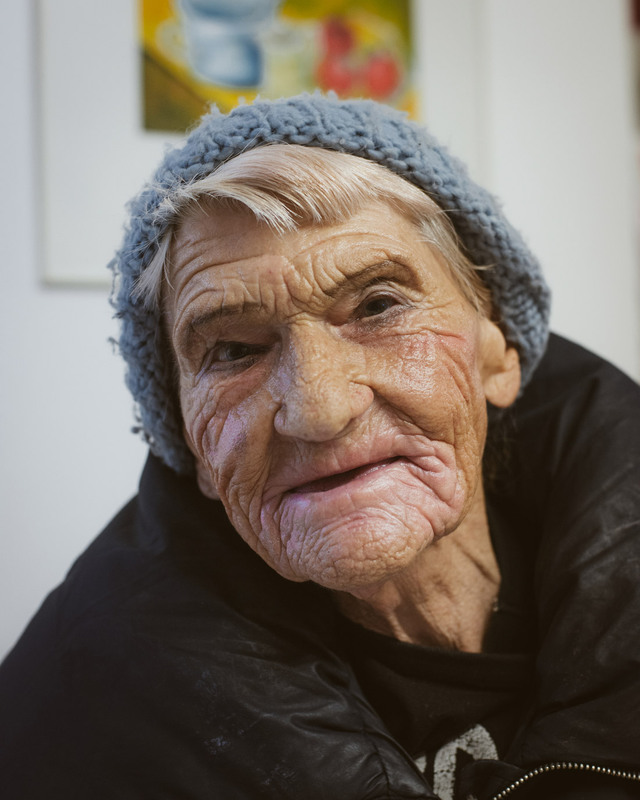 Hedwig Früchtl has been volunteering at the food bank for three years. Not only do the Tafeln relieve hunger, they play an ecological role too, distributing food that would otherwise go to waste. But Stefan Selke, sociology professor in Furtwangen, southern Germany, is concerned that the success of the food bank movement in Germany and its “food-saving image” distract from a more important issue: the scandal of poverty in one of the world’s richest countries. “We no longer scandalize poverty in Germany, but we live with it because we have this wonderful system of Tafeln,” Selke says. 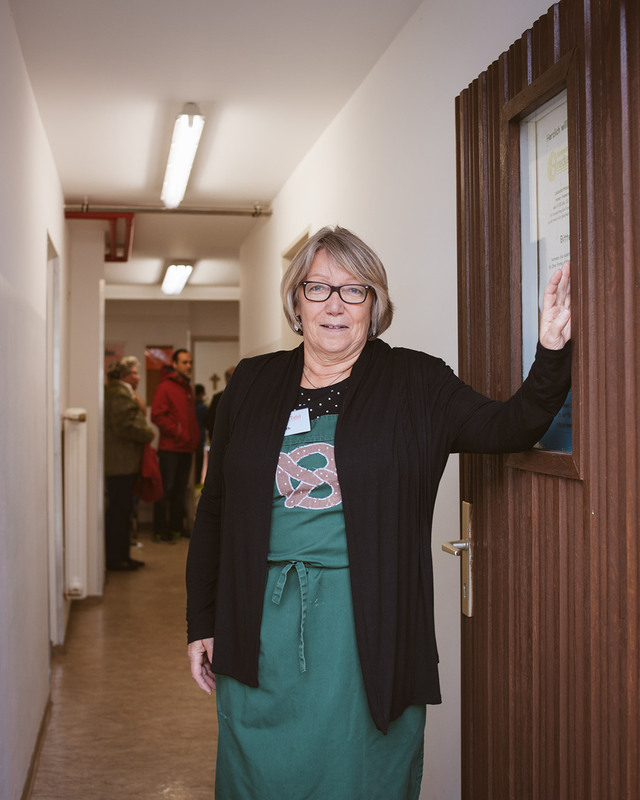 Christa Rath, 73, who has been volunteering at the food bank in Fürstenfeldbruck since it opened in 2000, agrees that the Tafeln won’t provide a long-term solution to the problem.